French carp fishing magazine Média Carpe has listed all current world carp records in one of it's latest issues. Check out all the current records for common and mirror carp per category. 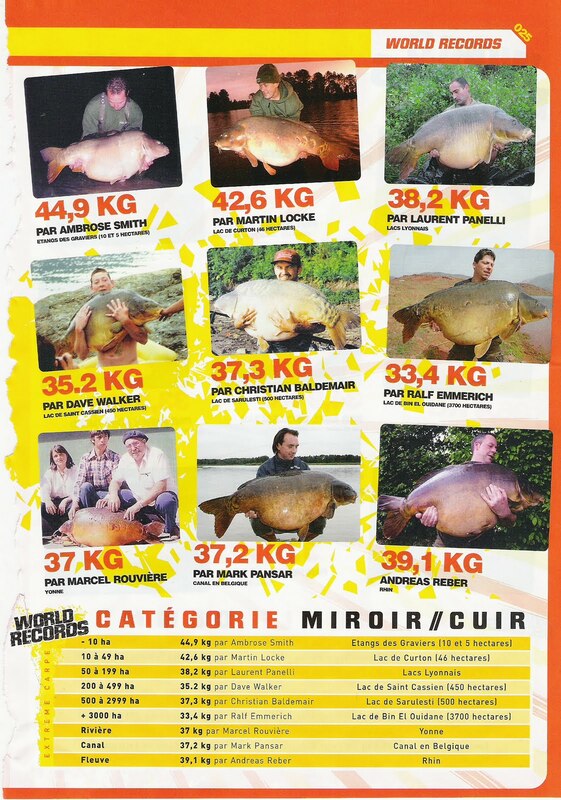 The interesting thing about the French magazine is that they have made a list of 8 different world records carp for both common and mirror carp. The eight categories are based on the kind of water and the magnitude of the water that the carp is caught on. So there is a world record for river carp, a world record for a small lake (up to 10 ha. ), a world record for a massive lake (3000+ ha.)etc. 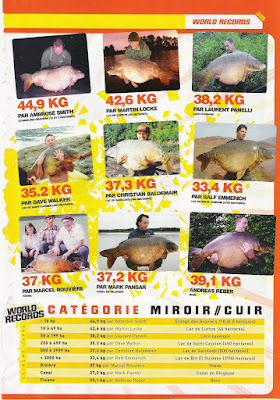 The article appeared shortly after a new French carp record was caught on a public water in 2010. The fish, nicknamed 'Neptune', was taken on a secret public lake at a weight of 38,2 kg. This is a new world record for a public water. 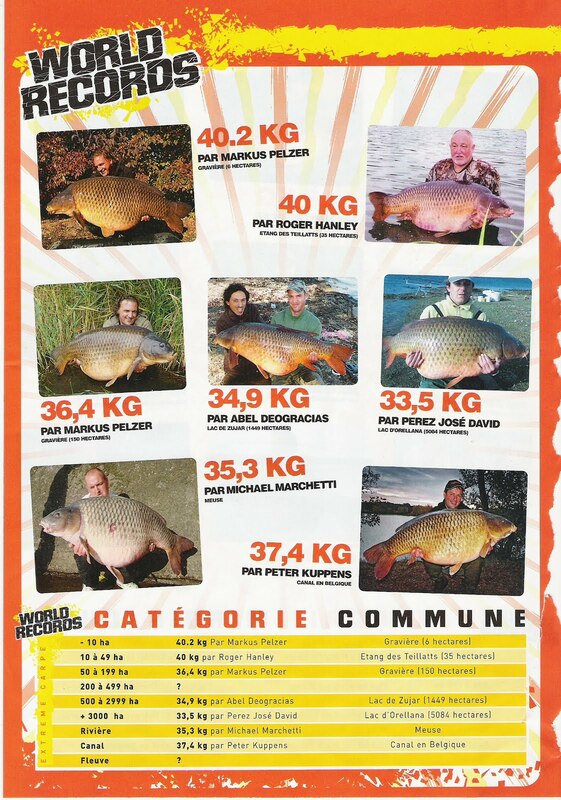 Right now the French have constructed a list of 8 different world records for both common and mirror carp. Of course, the bigger the water, the more special the record. So in this case the huge 'Neptune' (see picture above) is one of the 8 world records. Click on pictures for bigger images.